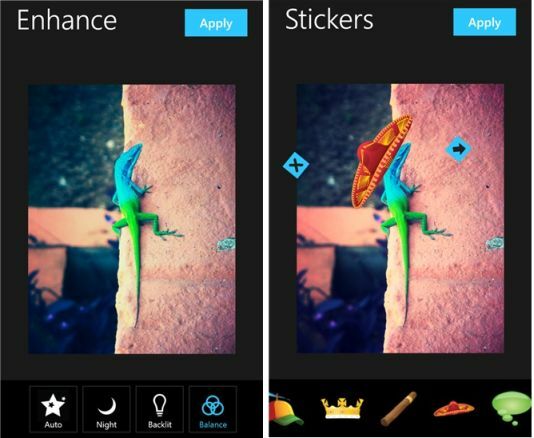 Aviary released its photo editor app for Windows Phone 8 devices that is already available for Android and iOS platforms. Aviary Photo Editor is a powerful, fast and fun photo editor and you can edit your photos on the go. Users can modify photos with stunning effects / filters, cool stickers and many other photo editing features like crop, rotate and brighten. Aviary Photo Editor for Windows Phone is designed specifically for Windows Phone 8 using Metro style design. It is integrating with user’s photo library to allow them to quickly modify their images. And you can easily share your modified photos to Twitter, Facebook and other social networking sites. Aviary Photo Editor for Windows Phone 8 is completely free for a limited time for the celebration of the launch. So get your free photo editor app quickly.